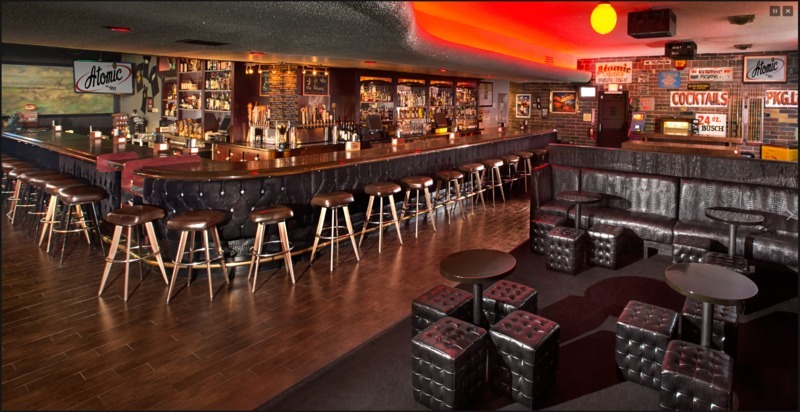 Walk into this aptly themed bar in 2016 and you will find something unique for the city of Las Vegas: an authentic part of its history. While it has expanded in recent years, Atomic is one of those rare historical specimens that has managed to survive, and even thrive, in a city that continuously reinvents itself for the changing tides of tourism. The bar has kept the same look, and many of the same relics of its past, down to the classic neon sign that has adorned the building since Joe and Stella Sobchik opened it in the early 1950s. It started in 1945 as Virginia’s Café, named after Stella’s mother who acquired the property in an inheritance from a local judge she cared for during his final years of life. 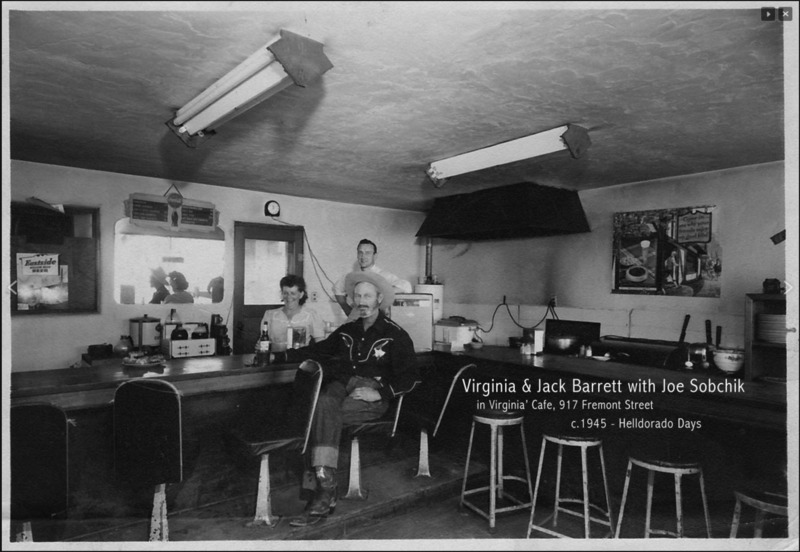 Stella ran the restaurant for her mother with her husband Joe, while Virginia managed other endeavors on the property. At this time, federal military-industrial spending helped the Las Vegas economy to boom, along with many cities in the American West during the Cold War. 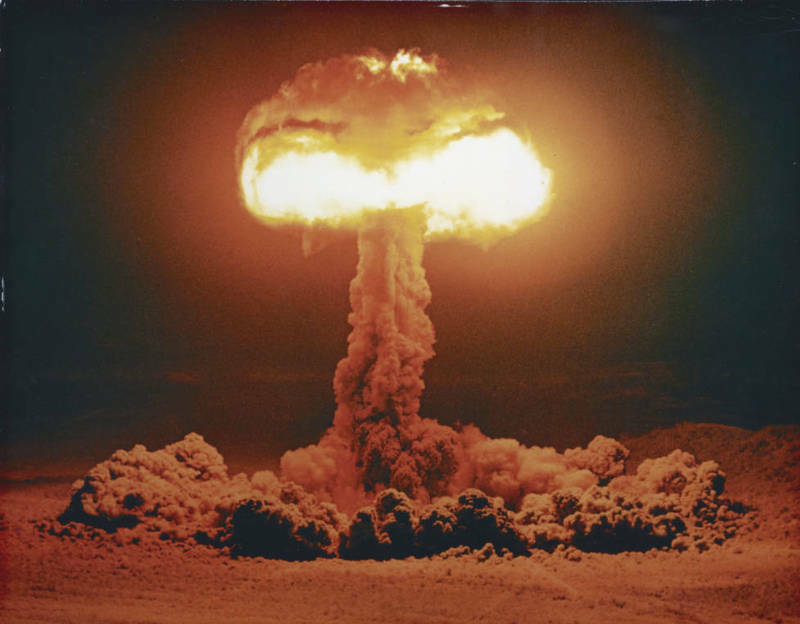 The arrival of the Nevada Test Site (NTS) in 1951 was one aspect of this federal military involvement in the Las Vegas community, which continued from the World War II establishments of Basic Magnesium Inc. and Nellis Airforce Base. Public opinion of the NTS was initially marked by worry of the possible side effects of radiation and fallout. The quick acceptance and even excitement over being a part of the nation’s defense grew from active efforts by the Atomic Energy Commission, along with the generally increased anti-Communist sentiment in the United States. Fears were easy to quell through created images of the American West as simultaneously an empty wasteland made for testing, and a beautiful sunny oasis. The development of the NTS contributed to a prominent nuclear culture, a form of patriotic pride in the city, from which Atomic Liquors directly grew. While the NTS was dropping its first above ground test-bomb, Joe and Stella grew tired of cooking food and looked towards selling alcohol. Initially in the form of a liquor store in 1952, by 1954 the Sobhiks had established Atomic Liquors as a full-service bar, complete with a rooftop to watch mushroom clouds rise 60-70 miles outside of town while sipping popular “atomic cocktails” that marked the era. As above-ground testing ended in 1963, the “atomic hairdos,” “Miss Atomic Bomb Contests,” and “atomic cocktails” that marked the era’s culture fell-out of popularity. Atomic Liquors, however, remained. Consistently a hangout for mobsters, celebrities, and other Fremont Street laborers, the bar continued as a popular neighborhood staple for a few decades. 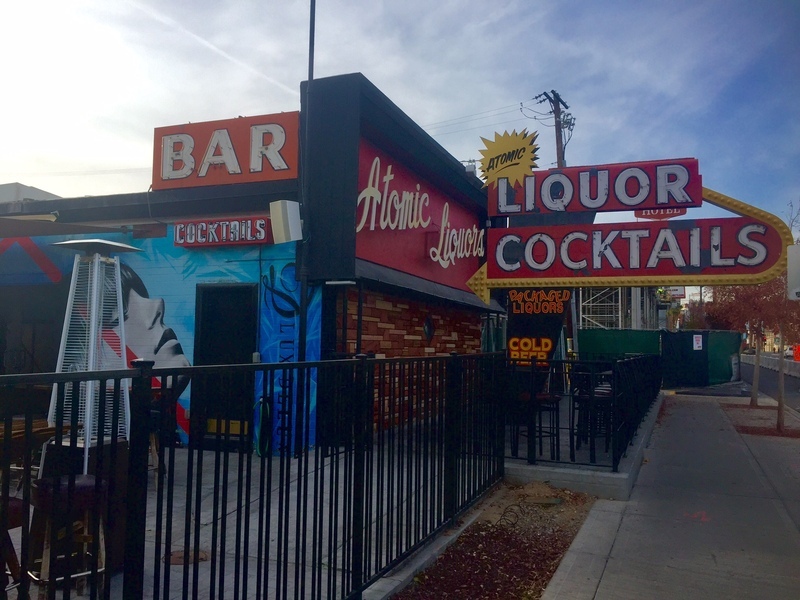 As the Fremont Street District hit harder economic times, it lost out to the popularity of the Strip, and Atomic Liquors became a little-known neighborhood watering-hole most locals and tourists alike had not heard of, or did not want to venture into. When the Sobchiks passed in 2010, the bar went to their son, Ron, who then sold it to a group of investors, reopening it in 2012, fully restored. Today locals and tourists alike can enjoy the nostalgia of a bygone classic Las Vegas era, while also embracing the new craft beers and cocktail menu that compliments the larger revitalization of Downtown Las Vegas. 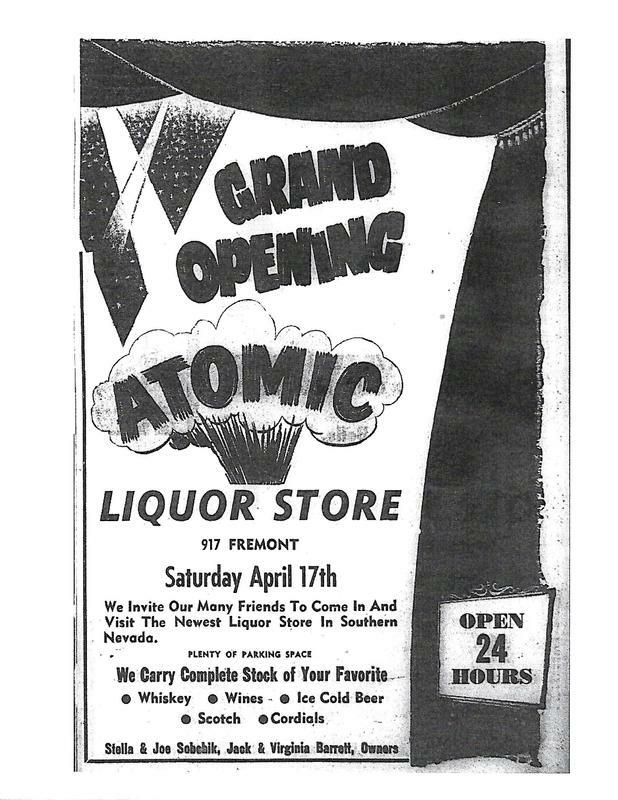 Atomic Grand Opening ~ Source: “Atomic Grand Opening,” Las Vegas Review Journal, April 18, 1954: 11. 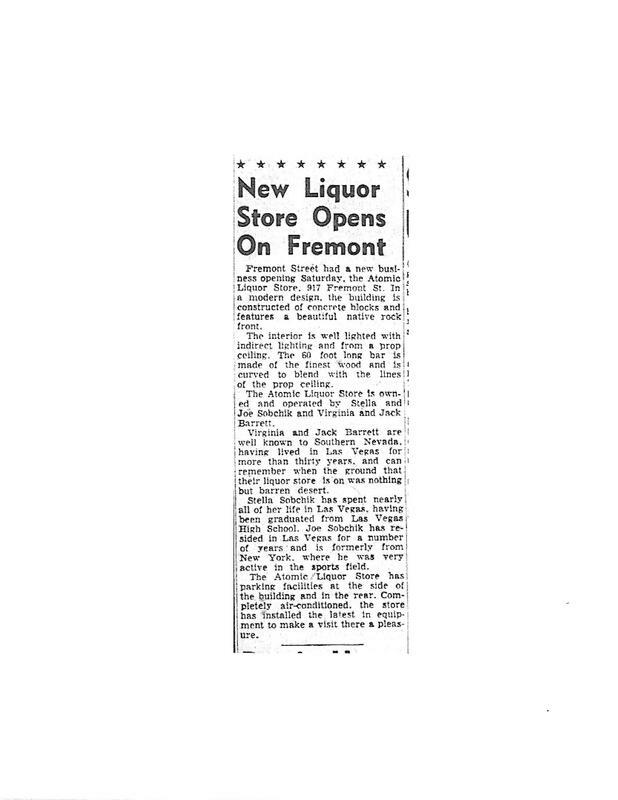 New Store Opens ~ Source: Las Vegas Review Journal, April 18, 1954: 11. 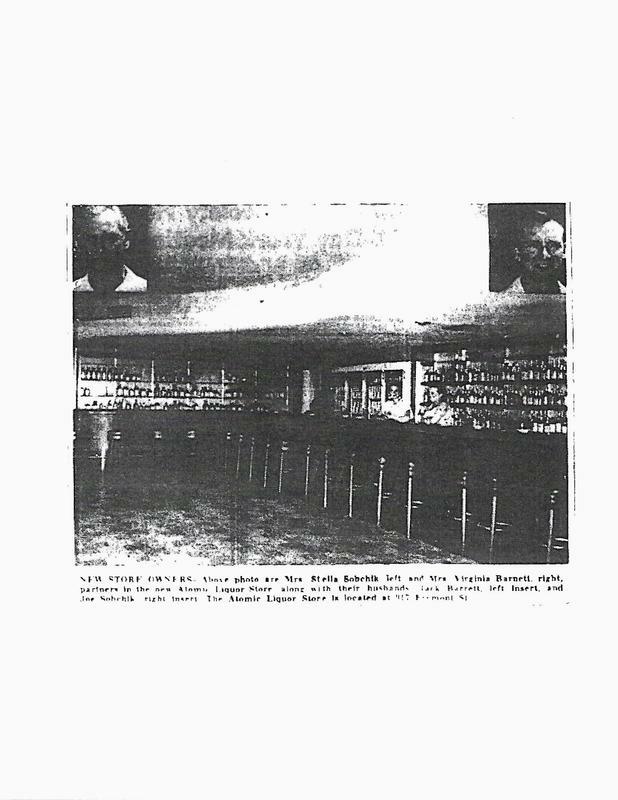 New Store Owners ~ Source: Las Vegas Review Journal, April 18, 1954: 11. 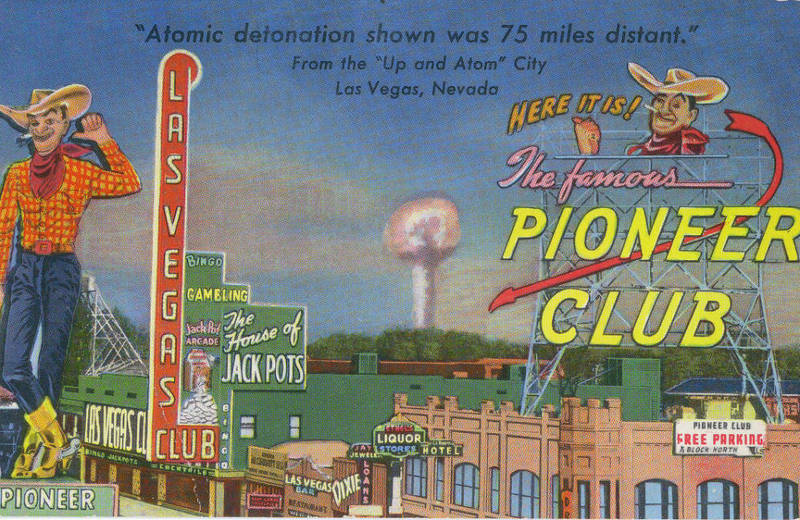 Billy Marino, University of Nevada, Las Vegas , “Atomic Liquors ,” Intermountain Histories, accessed April 19, 2019, https://www.intermountainhistories.org/items/show/29. “History,” Atomic Liquors. Accessed December 2016. http://atomic.vegas/history/ “Meet the Sobchiks,” Atomic Liquors. Accessed December 2016. http://atomicvegas.com/history2/ Hembree, Derek and Lanier, Clint. “Atomic Liquors Las Vegas: A ‘BLAST’ From the Past.” Huffington Post, August 1, 2013. http://www.huffingtonpost.com/clint-lanier-and-derek-hembree/atomic-liquors-las-vegas_b_3642602.html. Reddingon, Anne. 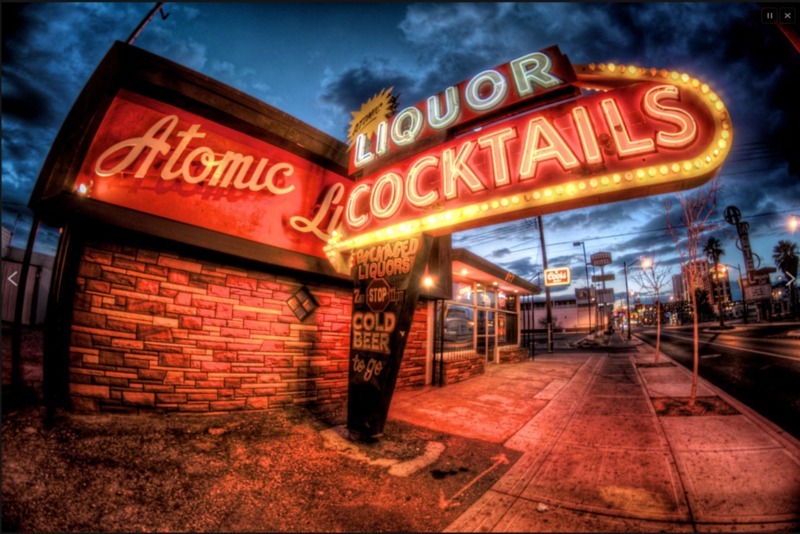 “Atomic Liquors,” Atlas Obscura. Accessed December 2016. http://www.atlasobscura.com/places/atomic-liquors Spillman, Benjamin. “Historic Atomic Liquors Reopens on Fremont Street with a Prayer.” Las Vegas Review-Journal, June 20, 2013. http://www.reviewjournal.com/news/las-vegas/historic-atomic-liquors-reopens-fremont-street-prayer.